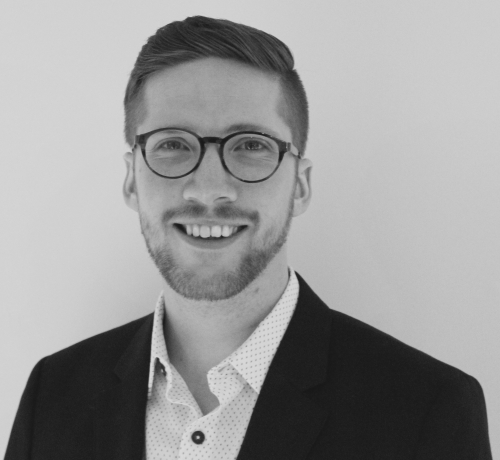 Félix Mathieu is a PhD student in Political Science at Université du Québec à Montréal. His work has been published in journals like Publius: The Journal of Federalism, Ethnicities, Studies in Ethnicity and Nationalism. He is the author of Les défis du pluralisme à l’ère des sociétés complexes (2017, Presses de l’Université du Québec). 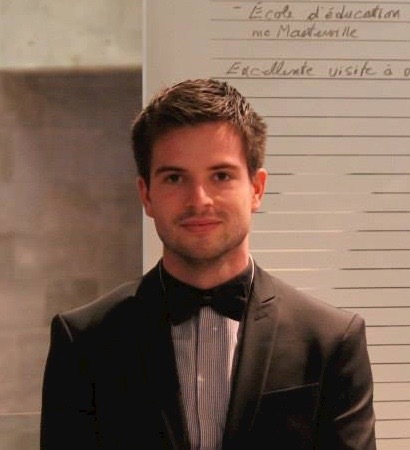 Dave Guénette is a PhD student in Law at Université Catholique de Louvain and Université Laval. Its main research interests are related to the constituent process, the institutional management of national diversity and the links between constitutionalism and nationalism. He has published in academic journals in Belgium, Canada, France, Spain and the United Kingdom. Multinational (quasi)federations are polities that hold together at least two constituent national partners. In such context, minority nations usually cannot fully empower their societal cultures exclusively with their own autonomous institutions, and the state in which they evolve may thus suffer from a more or less prominent multinational federalism deficit. In this contribution, we first define multinational federalism and consider what are the key normative principles driving it. In a nutshell, we argue that a multinational conception of federalism aims at providing every constituent national partner of the political association with the necessary constitutional powers to develop and consolidate their respective societal culture. Second, we identify six legally oriented pillars that are central for a minority nation to sustain its societal culture. Those pillars, and the twelve indicators that operationalise them, form the building blocks of the Societal Culture Index, which allows measuring and comparing minority nations with regards to their capacity to develop and strengthen their respective societal culture. Third, we briefly introduce the multiple cases that may fit this analytical framework, and discuss of the relevance of the Index. Just like majoritarian nations, minority nations possess their own “societal culture” (Kymlicka 1995: 53), i.e. they usually have access to legal, political, cultural, and economic institutions making it possible for a given political community to emancipate itself both politically and culturally. A societal culture is usually bound by a specific language and confined within a delimited territory. As Kymlicka (1995) articulates it, a societal culture offers citizens a “context of choice” in order for them to enjoy individual autonomy and liberty. However, contrary to majoritarian nations governing sovereign states, minority nations living within multinational (quasi)federations usually cannot fully empower their societal cultures exclusively by their own will because they are evolving within a larger political state and a more comprehensive legal order. Majoritarian nations evolving within a sovereign state, if and when they feel threatened or concerned by a given political force – whether it is related to immigration, language or cultural issues, self-determination, etc. – may strengthen and consolidate their societal culture so they can (try to) manage and overcome the identified threat. However, minority nations may only have limited, or even no real legal authority to develop and consolidate their societal culture when confronted with similar struggles. Minority nations living within a multinational state thus tend to express a greater sense of “fragility” or “insecurity” (Gagnon 2014). In turn, if the (minority) partners in such a political association are not considered as equals and cannot develop their respective societal culture, this may lead to a serious deficit in matters of multinational federalism. To be clear, a federation refers to a political organisation where at least two orders of government “combine elements of shared-rule through common institutions and regional self-rule for the governments of the constituent units” (Watts, 1996: 7). As for federalism, it refers expressly to the normative and theoretical account that justifies the desirability of federations over unitary political systems. As a complex set of ideas underpinning a network of specific institutions and principles, federalism is about finding a balance between centripetal and centrifugal political forces to ensure the fair coexistence of multiple and sometimes conflicting loyalties and (national) identities. Therefore, it is important to bear in mind that federalism is not the same as (political) decentralisation, nor the same as devolution. Indeed, decentralisation and devolution are ways to distribute power in a given state, whereas federalism is a universal and normative principle justifying how such distribution should be done. Consequently, federalism suggests that a polity must be understood as a form of political association made of multiple partners, in which none shall rule them all. When applied to multinational federalism, we suggest this specifically means that every national partner must enjoy the necessary constitutional abilities to develop and strengthen its societal culture. Otherwise, the federation develops a more or less prominent deficit with regards to the core principles that drive multinational federalism. But how can we measure and compare such a deficit? We propose a standardised composite Index for the study and comparison of minority nations’ legal capacity to institutionalise their societal culture within multinational (quasi)federations. In particular, we identify six legally oriented pillars and twelve indicators that are central for a minority nation to exercise a significant degree of autonomy through self-governance by sustaining a dynamic societal culture. Thus, the higher a minority nation scores on the Societal Culture Index, the less the (quasi)federation within which it evolves expresses a multinational federalism deficit, and vice-versa. The scope of the analytical framework presented here is limited to democratic multinational (quasi)federations in the Western world. Nonetheless, one of its benefits for further research is that comparing the legal capacity of various minority nations to develop their societal culture within the context of a multinational (quasi)federation “may help to identify options that might otherwise be overlooked [and] allow us to foresee more clearly the consequences of particular arrangements advocated” (Watts, 1996: 2). 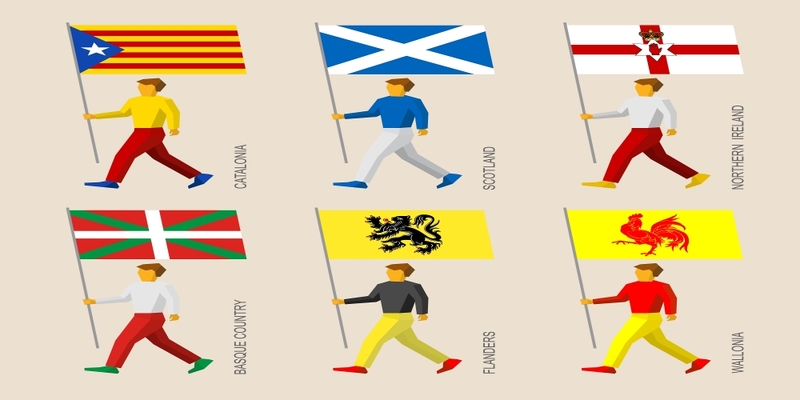 Consequently, many (quasi)federations and minority nations can be analysed using the Societal Culture Index, such as Québec in Canada, Scotland or Wales in the United Kingdom, Catalonia, Basque Country, Galicia or Navarra in Spain, Alsace, Brittany or Corsica in France, Flanders in Belgium, Jura in Switzerland, Puerto Rico in the United States, South Tyrol or Sardinia in Italy, etc. Indeed, we have already used the Index to study the cases of Catalonia, Québec and South Tyrol. The results we obtained – i.e. Catalonia 4/12, Québec 9.5/12 and South Tyrol 6/12 (see Mathieu and Guénette 2017) – then enabled us to formulate some normative conclusions. Thus, considering and comparing how minority nations can legally develop their societal culture – so they get to stress less their relative feeling of fragility or insecurity – may precisely help to find and promote better cohabitation frameworks for the prosperity of hospitable multinational (quasi)federations. Therefore, one clear benefit of putting forward a constitutional order that helps minority nations to score as high as possible on the Index, is that governance and democracy would be globally improved in multinational (quasi)federations (Mathieu and Guénette 2017). Given the fact that a multinational (quasi)federation is made of multiple national partners, pursuing the federal ideal is a wise choice “for achieving the principle of equality in a highly diverse state” (Burgess and Gagnon, 2010: 17). Indeed, for such political associations, being comfortable with the expression of diversity must mean that “the equality of the constituent member states does not necessarily imply sameness of treatment, because this could conceivably contribute to the maintenance of an unjust predicament for a given community in a federal setting” (Ibid: 18). Hence, we argue that a multinational (quasi)federation’s commitment to democracy and federalism is strengthened to the extent that its internal minority nation(s) maximise their score on the Societal Culture Index. As a result, the democratic expression of the political association would emerge both from the central state and the constituent member states. Burgess, M. and A.-G. Gagnon (2010), ‘Introduction: Federalism and Democracy’, in M. Burgess and A.-G. Gagnon (eds.). Federal Democracies. New York: Routledge, pp. 1-26. Gagnon, A.-G. (2010), The Case for Multinational Federalism. Beyond the All-Encompassing Nation. New York: Routledge. Gagnon, A.-G. (2014), Minority nations in the age of uncertainty: new paths to national emancipation and empowerment. Toronto: University of Toronto Press. Kymlicka, W. (1995), Multicultural Citizenship: A Liberal Theory of Minority Rights. New York: Oxford University Press. Seymour, M. and A.-G. Gagnon (2012), ‘Introduction. Multinational Federalism: Questions and Queries’, in M. Seymour and A.-G. Gagnon (eds.). Multinational Federalism. Problems and Prospects. New York: Palgrave macmillan, pp. 1-22. Watts, R. (1996), Comparing Federal Systems in the 1990s. Montréal: McGill-Queen’s University Press. Gagnon, A.-G. and J. Tully (eds. ), 2001, Multinational Democracies. Cambridge: Cambridge University Press. Grégoire, J-F. & Jewkes M. (eds. ), 2015, Recognition and Redistribution in Multinational Federations, Leuven, Leuven University Press. Laforest, G. (2014), Interpreting Quebec’s Exile Within the Federation. Selected Political Essays. Bruxelles: Peter Lang. Mathieu, F. (2017), Les défis du pluralisme à l’ère des sociétés complexes. Montréal: Presses de l’Université du Québec. Norman, W. (2006), Negotiating Nationalism: Nation-Building, Federalism, and Secession in the Multinational State. Oxford: Oxford University Press. By quasi-federations, we refer broadly to states that, although they might not formally be federations in their political and legal order, have introduced in their constitutional architecture some significant elements of regional self-rule, and sometimes shared-rule (cf. Watts, 1996: 8). The U.K., Spain, Italy, Japan, Netherlands, Indonesia, etc., are few examples of such quasi-federations.